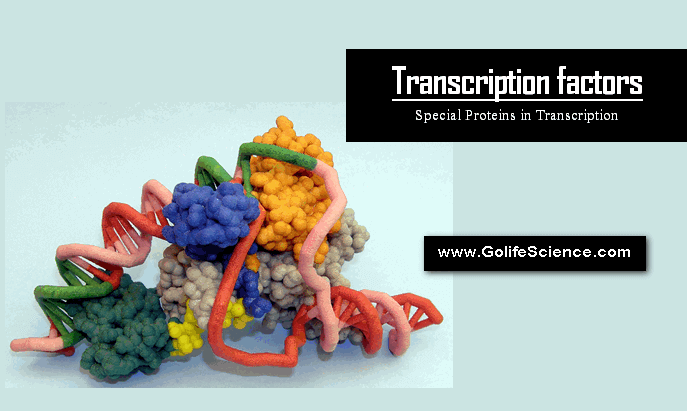 What are the Transcriptional factors involved in Transcription? A transcription factor is a protein involved in regulating DNA transcription, but not forming part of the RNA polymerase. Transcription factors (TF) can act by recognizing and binding to specific DNA sequences, binding to other factors, or by directly binding to RNA polymerase. Transcription factors are stimulated by cytoplasmic signals. When they activated to acquire the ability to regulate gene expression in the cell nucleus, by activating either repressing transcription of various genes. 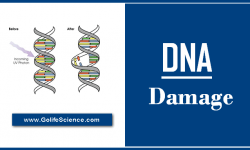 Certain transcription factors may undergo mutations that continuously remain active without external signals, thus becoming oncogenes, uncontrolled stimulating the synthesis of proteins involved in the regulation of cell cycle. 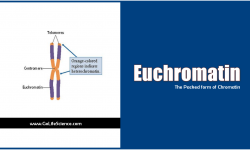 This may lead to uncontrolled growth of cells and therefore a tumor. Numerous TFs whose importance has been demonstrated in cancer. Among these transcription factors that act as oncoproteins include Myc, Max, Myb, Fos, Jun, Rel, Ets, etc. 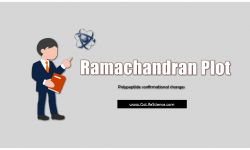 Transcription factors can be selectively activated or deactivated by other proteins, often as a final step in the chain of transmission of signals intracellular. Transcription complexes in cells eukaryotes are much more complex than in prokaryotes due to the larger size genome eukaryotic, so the eukaryotic transcription complex needs a higher number of steps for assembly. Because no eukaryotic RNA polymerase is able to bind to the promoter sequences without involving another protein, the DNA sequence of the promoter region should be recognized by various transcriptional factors. 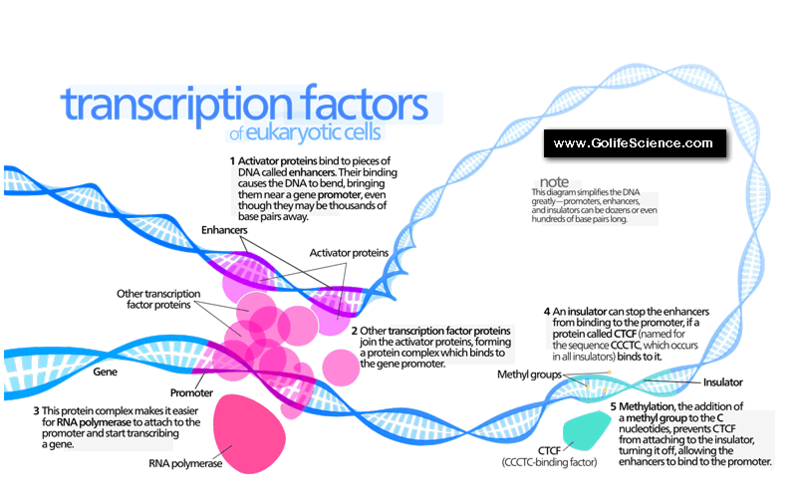 Transcription factors are usually class-specific genes. TF recognize and bind to specific sequences near the start site of transcription. The sequences to which the transcription factors gene promoters bind to class I vary tremendously from organism to organism. Transcription factors of the class II genes are joined to promoter sequences located upstream of the site of transcription initiation. The TATA box is the most common. 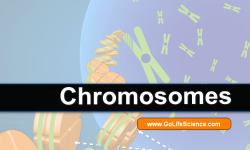 The binding sites of transcription factors of class III genes are located within the transcribed region of the gene and internal controls are called regions. Internal control regions bind to various factors and form a stable transcription complex which binds RNA polymerase III. Transcription complexes remain stable assembled over many cycles of transcription. In some Pathogenic fungi transcription factor (PACC) recognizes the number of nucleotides 5′-GCCARG-3 ‘found in the promoter of several genes of importance in the pathogenesis process. The baseline factors transcription is necessary to initiate RNA synthesis in all promoters. RNA polymerase constitutes the basal transcription apparatus. The generic factors recognize promoters of genes expressed constitutionally. 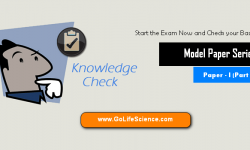 The specific factors recognize specific gene promoters of tissue. An example would be the genes T-box. 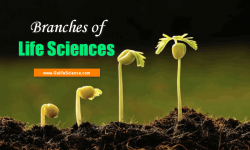 What are the Branches of Life Sciences and their meanings?